The Coalition’s primary goal is to improve the quality of life for direct caregivers. We provide the space and opportunity for family and professional caregivers to define and advocate on topics of importance to them--be it higher wages, better benefits and workplace supports, or training and education needed for improving their own professional development and that of the field. As a result, direct caregivers become the voice for enhancing and promoting their professionalism and image of the field. Create a unified voice for caregivers in New Mexico and in the United States on issues of importance to their training and professional development. The New Mexico Direct Care Coalition was formed in 2009 in direct response to caregiver worker shortages, few to no benefits they receive, little training and little to no recognition for those working in the field. The Coalition is led by a Board of Directors who is themselves direct caregivers, with input and guidance from people who are elderly and/or disabled. The organization is a registered 501(c)(6) organization. Administrative management is provided by an Executive Director and a Program Manager. 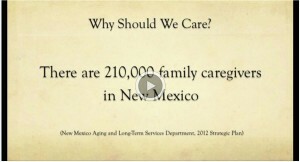 In 2008, a series of Listening Sessions were held in all regions of New Mexico in which caregivers were asked to share information and solutions that would contribute to overcoming personal and professional challenges. These sessions served as a basis for obtaining valuable information across all regions of New Mexico, and they also served as the basis for establishing foundational programs of the Coalition. Travelling to these locations was important so organizers could support caregivers’ interests and so caregivers could feel free responding to creation of an organization dedicated solely to their needs. Planning and infrastructure development was paid for through seed funding by the Developmental Disabilities Planning Council. Following the Listening Sessions, 2009 began with a calendar of community events, induction of a first Board of Directors and leadership development and training for members. Today, the New Mexico Direct Caregivers Coalition is led by a Board representative of all regions of New Mexico, the variety of occupations within the field and the variety of populations served by caregivers. 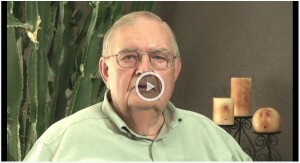 Coalition membership is open to any person whose primary occupation is as a direct caregiver. The last couple years have been marked with a notice from the IRS of our organization’s 501(c)(6) status, success in having helped re-open the State Coverage Insurance (SCI) program providing affordable health insurance options to caregivers who cannot afford it, and success in passing legislation resulting in statewide training and credentialing for caregivers. Further, we have successfully hosted a first annual New Mexico Direct Caregivers Summit in partnership with the City of Albuquerque Department of Senior Affairs and the Alzheimer’s Association, an event that raised funds and provided education on topics relevant to the field of direct care. Speakers included caregivers, consumers, state officials, agency directors, legislators, and cabinet secretaries. Direct care workers' salaries nationally and in New Mexico are often below the median area income. The average hourly wage of a New Mexico home health care aide is $8.54. Many caregivers work two jobs, and often still may not earn enough to pay for health insurance. The Coalition reaches 4,500 New Mexicans today. Reaching out to this hard-working and somewhat isolated group of workers, the Coalition will provide literacy, job training and professional education so they may earn higher salaries and advance their careers. Part 1 - Listen here! Part 2 - Listen here!